We take pride of our outstanding Android apps portfolio including Hubble, Eagle Eye, Alias, Wekho, Friend Finder and a lot more. We have so much support from our parent company, Fair Pattern, which is operating in the US. 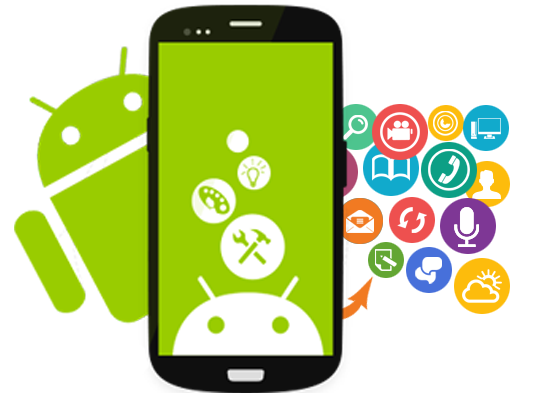 This means that we share global perspectives in Android mobile application development. Being stringent is what we are when we follow Google Play Store review guidelines in order to create the most comprehensive content and user-friendly interface design for a practically engaging Android mobile application. Satisfaction is our keyword as we make it sure that we don’t only satisfy our clients by putting their concept to life with very trendy and modern mobile application designs but we also give their desired Android mobile application an effective monetization strategy. We create highly technically engineered mobile apps that perform greatly on Gingerbread, Lollipop, Kitkat and other Android codenames. Have we mentioned that our codes have lifetime warranty? Yes, you read it right. The thing is that’s what sets us apart from other Android mobile application development companies that are out there in a neck by neck competition. Numbers are very important for us especially when we say that we have developed native Android mobile apps that have accumulated 500,000 downloads and still counting. When we produce Android mobile apps, we put in the 3S: seamless, streamlined and swift. Well, we just want to provide our clients and their prospective Android mobile app users just high quality user experience. So, let’s talk. We love to hear from you and put your dream Android mobile application to action. You may get a free consultation and quote from us through info@getyoteam.com or sales@getyoteam.com or you can give us a ring at +91-7622043449. We are looking forward to creating your Android mobile application and making it the next BIG thing!